A new standard specification for connecting VR headsets to PCs has been announced by a consortium of the industry’s major players, reducing the need for multiple cables down to a single USB-C connection. 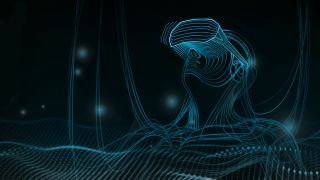 The specification is titled VirtualLink and is formed by a partnership of Nvidia, Valve, Oculus, AMD, and Microsoft, and aims “to meet the connectivity requirements of current and next-generation virtual reality (VR) headsets”. VirtualLink is able to simultaneously deliver four high-speed lanes of HBR3 DisplayPort, a USB3.1 data channel, and up to 27 watts of power. These specifications should ensure a good degree of future-proofing when it comes to VR releases down the track. The existing requirement for most PC-based VR devices is to connect via multiple HDMI and USB cables, limiting its uses to machines with a variety (and availability) of ports. By reducing the data transmission to a single USB-C cable, this allows headsets to connect to smaller form-factor devices that might only have one or two of these connections, as is often the case with the latest ultrabooks and 2-in-1 devices. Naturally, this also alleviates issues of mobility where multiple cables can become entangled and/or rigid when moving – a bit of a deal-breaker when the goal is to become totally immersed.